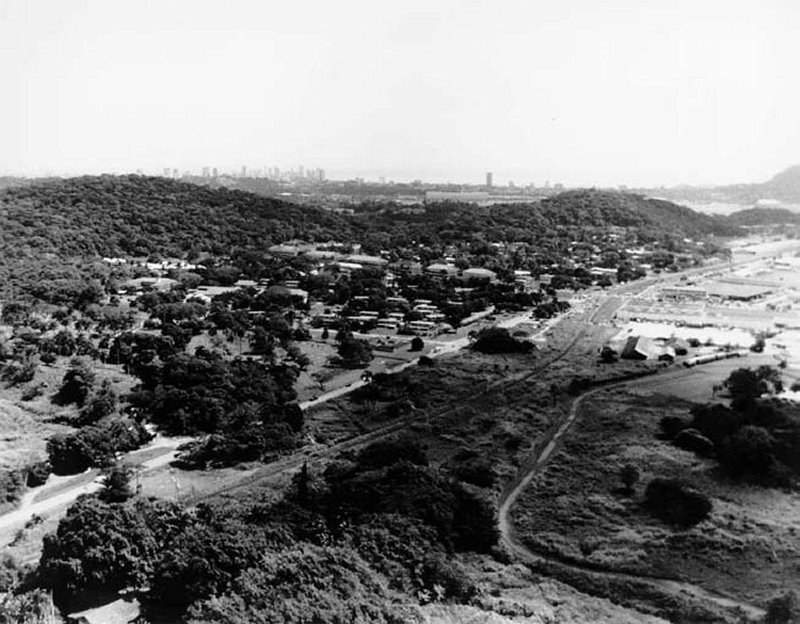 Fort Clayton is located near the Pacific opening of the Panama Canal in Central America. The USARSO's Commanding General commands, controls and supports Army forces throughout the theater to include plans and programs in support of the Commander in Chief's South Regional security strategy. Also, as Commander of Joint Task Force-Panama, he protects and defends US lives, property, the Panama Canal and promotes the development of democratic institutions by supporting security assistance and counterdrug requirements. This area of operation is roughly 22 percent of the earth's land surface and includes 19 sovereign nations. Since Operation Just Cause in 1989, USARSO has focused its efforts on regional peace time engagements. The intertwined, complex missions include nation-assistance, support of counterdrug initiatives, stability and liberty in Panama and force readiness. As the 1977 Torrijos-Carter Treaty that became effective in 1979 was fully implemented, the Panama Canal and all property occupied and operated by the US military there wase returned to the government of Panama, and all US military forces were out of the country by noon on Dec. 31, 1999. Since 1979, when US troop strength in Panama decreased from some 10,200 to roughly 4,300, the two countries worked toward a smooth transition. 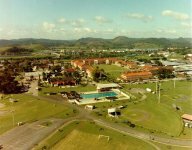 On the Atlantic side of the isthmus, at Fort Sherman, the Jungle Operations Training Battalion graduated its last class in March 1999. Activity mounted in April 1999 and remained intense through August 1999, as other units inactivated and relocated. Transportation officials beefed up shipments of household goods, POVs and pets as families prepared to leave. And they coordinated shipments of office furniture and equipment, some of it destined for Puerto Rico, where USARSO stood up its new headquarters at Fort Buchanan, in July 1999. 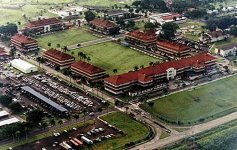 This US Army Base has been the headquarters of Army South of the Southern Command since the Second World War. Clayton, located on 2,180 acres on the east bank of the Canal in the Pacific Sector, is near Miraflores Locks and is just 30 minutes from Panama City. Clayton has commercial, residential and recreational areas and will inevitably become a new pole for metropolitan growth. Clayton's road systems are in excellent condition and can easily be connected with the city grid off base. Public services include the aqueducts, sewage drainage, electricity and telecommunications. Buildings all come with air conditioning systems as well. Potable water comes from Miraflores Reservoir. A new highway has improved access to Clayton, as will other projected road in the area. This will allow for development of commercial projects serving regional and local markets. Clayton is close to the largest urban centres in the Pacific Sector, and next to the Panama Canal. Vacated facilities here will be ideal for maritime businesses and manufacturing, as well as office parks and community services. Clayton will also be the headquarters for the City of Knowledge, a conglomeration of graduate-level educational programs and research centres, and the locale for Panama's first technology park, where companies will manufacture and develop medium and high-technology products for export. As providers of equipment for use around the globe, it is frequently necessary for military materiel developers to meet the challenges posed by the world's harsh climatic extremes. 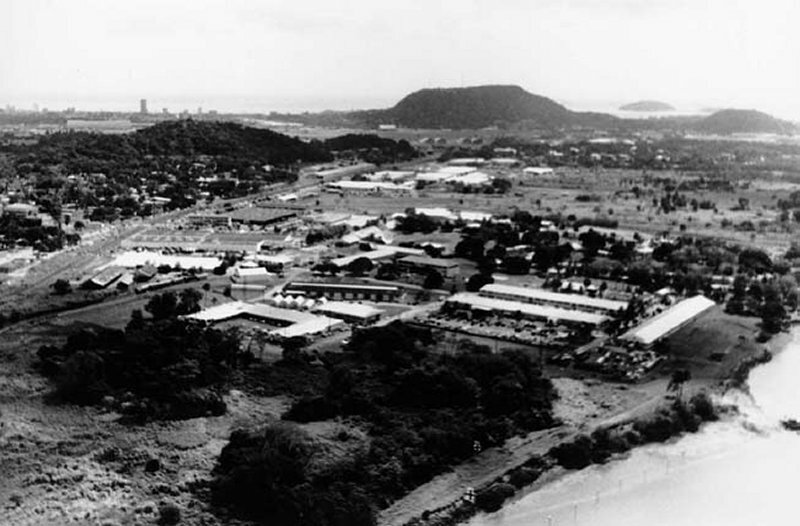 To ensure that humid tropic challenges are met, Army systems began to be tested systematically in the Panama Canal Zone in 1962, with the establishment of the Tropic Test Center (TTC) under the U.S. Army Test and Evaluation Command. However, TTC history goes back much farther. Several "crash" testing programs were instituted in Panama during World War II to ensure that military equipment deployed to tropical locations remained effective. 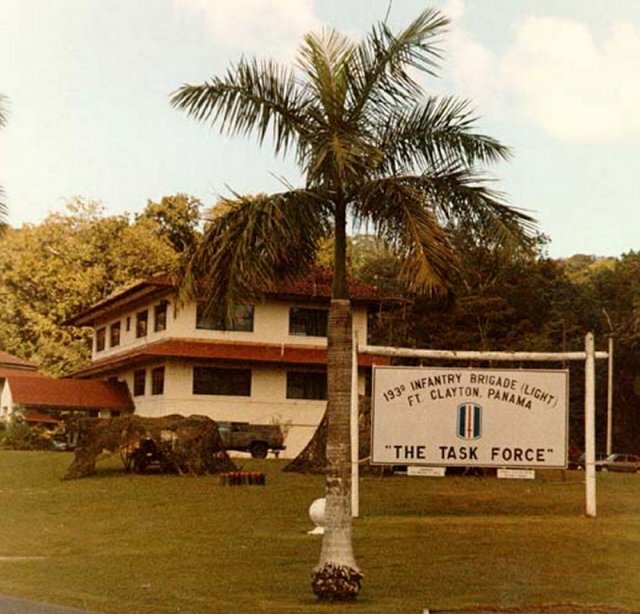 Many years after the war, in 1962, the surviving activities were consolidated into one agency - the Tropic Test Center. Numbering well over 300 people during the Vietnam War days of the 1960's, the organization has since been downsized and placed under the management of U.S. Army Yuma Proving Ground. 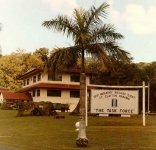 The Tropic Test Center mission is to plan and conduct tropic environmental development tests on a wide variety of military systems, materials, weapons, and equipment of all conceivable types, sizes, configurations, and uses. The center's laboratory facilities provide detailed information on tropic-induced failures and other environmental effects. All testing in Panama is conducted to the same stringent environmental protection standards as similar activities in the United States. Testing in the tropics is essential because heat, humidity, solar radiation, insects, fungus, bacteria, rainfall, and other factors combine synergistically to degrade the performance of man, machines, and materials quickly. The unique combination of several tropic microclimates in close proximity to a large metropolitan area with a comprehensive support infrastructure, an indigenous technical work force, and an expanding scientific community combine to make Panama the best place in the world to conduct tropic testing today. 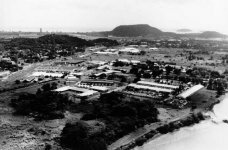 The Tropic Test Center's workforce was composed primarily of Panamanian scientists, engineers and technicians, with supplemental assistance available through using specialists from the universities in the Republic of Panama. Operations in Panama involving dual use technology, such as advanced environmental monitoring sensors, also include expanded multinational cooperative efforts with the universities of Panama teamed with research laboratories and universities in the United States and elsewhere, as is currently taking place in the Tropic Virtual Proving Ground project. This project used the Gamboa Test Area as a "window on the tropics" for conducting actual and virtual evaluations of the performance of man, machine and materials in the tropics, along with the performance of advanced sensor systems having dual use (military and civilian) applications. The Gamboa area, along with other selected sites, was fully characterized and digitized to provide "ground truth" for advanced modeling and simulation (Virtual Proving Ground) efforts. These areas are used to evaluate performance of actual prototype systems along with providing the capability to verify the accuracy of predictions of performance obtained through modeling and simulation efforts. Dual use technology efforts of the Gamboa project include applications such as watershed studies for the Panama Canal, erosion control, studies of wildlife migration patterns, city planning for the Gamboa area, and opportunities for graduate student projects from the universities of Panama. What is it like in the humid tropics? Just below the inviting green veneer of the jungle canopy lies not a tropical paradise, but many dangers and obstacles with which soldiers and materiel must contend. Relentless, year-round moderately high temperatures in the 80 to 95°F (27 to 35°C) range, coupled with constantly high relative humidity in the 80 to 100% range, generate an insidious, persistently degrading environment that strikes at the hearts of soldiers and their equipment, ever-working to bring them and their missions to a miserable halt! Dense tropic vegetation provides a haven for the enemy and presents severe challenges to target detection and acquisition. Rugged terrain and dense foliage severely degrade or completely block tactical communications. Steep jungle slopes, frequent heavy rainfall, and weak soils impede foot and vehicle mobility. Jungle canopies obscure targets and degrade weapons effectiveness. Heavy rains and constantly high humidity cause water to condense, pool, seep through supposedly water-tight components to corrode metals, induce fungal growth on a host of materials, collect in and clog or rust low points in air ducts and tubing, combine with fungi to create slippery walk surfaces, and to short out electrical components. Solar radiation reduces strength of materials such as polymers and rubber by cracking surfaces and allowing moisture to intrude. High surface temperatures stress materials and degrade paints fast. Vehicle power trains overheat. Multiple canopied primary and secondary jungles, open areas of short or 20-foot tall grasses, mangrove swamps, and other foreboding coastal environments in tropic areas throughout the world reek havoc on system performance and reliability. These harsh tropic environments, with their relentless insects, destructive fungi and bacteria, and constant heavy rainfall that keeps humidity high, create an incredibly diverse and complex test bed that cannot be duplicated anywhere else in the world or in chambers. Many systems simply do not work well in the tropics. These include mobile radars, radios, ponchos, mortars, vehicles, and even entrenching tools. Often, the reason is they are not tested in a real tropic environment. Systems may work well in other environments or in chambers, but they do not hold up to the combination of factors that the tropics throw at them. The scientific explanation for this phenomenon is "synergy," a working together of various factors to yield a result different from that expected by each factor working independently. This is the basic reason why chambers do not predict tropic effects very well. Depending on chamber tests alone is a high risk approach for a manager whose product must operate under world-wide conditions or for the field commander who depends upon its good performance in tropic conditions. More battles are fought in the tropics than anywhere else. Even excluding Vietnam, about 75% of the world's violent conflicts during the past half century have occurred in tropic areas of the world. This is surprising when we consider that the tropics cover only about one third of the world's land area and contain only about 20% of its population. An interesting fact is that this percentage, 75%, applies also to combat engagements fought by the United States since 1776. Even if we do not fight in the tropics as much as we have in the past, our country cannot ignore the probability that our equipment will be sold to other nations that do. 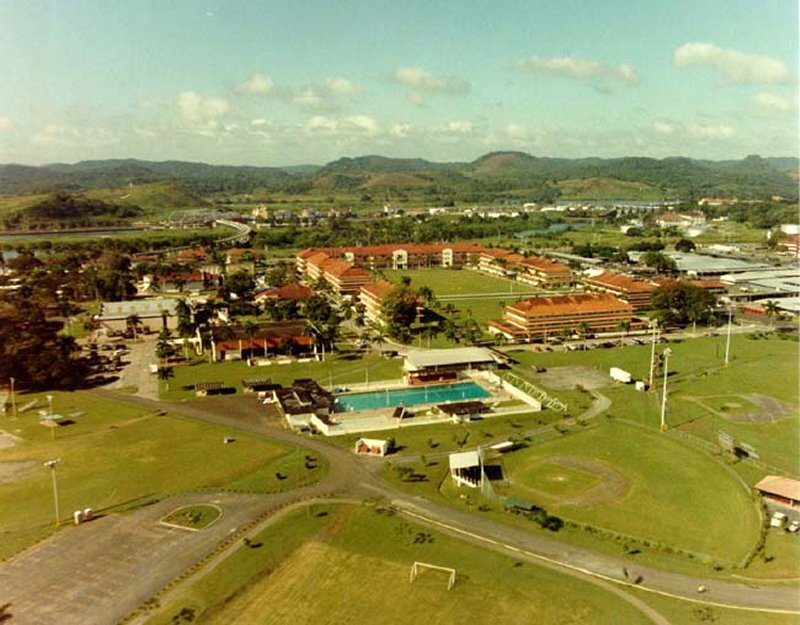 Therefore, the US Army must meet the humid tropic challenge by testing in natural tropic environments, whether the tropic test bed be in Panama or elsewhere. The Soldier Systems Jungle Test Bed is at mid-isthmus, contained within 2,500 acres of secondary forest characterized by thick ground vegetation that can obscure a soldier standing only a few meters away. 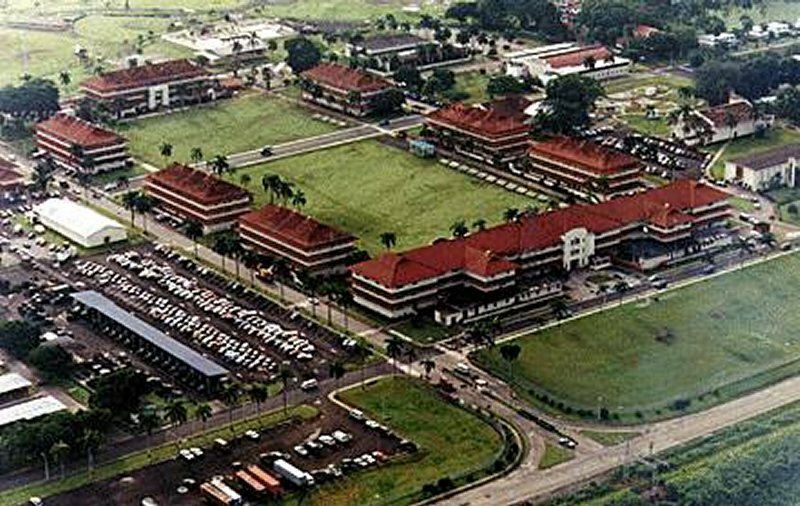 Within this test bed are a number of standardized test courses and sites designed to measure critical parameters of soldier system performance in the jungle. The Manpack Portability Course, the largest test track in this area, is a 3.5-kilometer jungle patrol exercise that takes soldiers through thick foliage, steep slopes, vine tangles, streams, swamps, and the animals and insects that go with the territory. This course challenges soldier and hardware durability and ruggedness, particularly load carrying systems, slings, and other devices used to secure items while both hands are needed to negotiate rugged terrain. The Ground-to-Ground Target Detection Test Site, within this same jungle, documents the ability of soldiers to see targets within the jungle during the day and at night. Visibility and target detection are tough tropic tasks. The metric is the probability of detecting targets at various distances from the viewer. A target approach grid is transparent to a viewer, a soldier who searches the area for a stationary or approaching target. The test item may be the target, such as soldier wearing a new uniform, new camouflage pattern, or a totally new system such as Land Warrior, The Soldier Systems Command's fighting system for the future. Standard or competing items provide comparison data. Or, the test item may be a viewing device used by a soldier to detect standard or special targets. Obtaining such objective data is challenging to test subjects, testers, and their instrumentation. Documenting night vision device detection probabilities in the total darkness of star- and moon light-blocking canopies, amid the activities of creatures that become active in the night, is always an exciting experience. A short Land Navigation Course provides the means to document the difference that a test system may make in the soldier's ability to get where he wants to go using a compass. Navigating in the jungle is a lot more taxing than finding our way through rolling hills or typical forests in temperate areas. Given that you cannot fix on an object more than 10 meters away (because you can't see any further than that), given that you must take your eye off of the object (such as a tree that looks identical to the tree a meter to the right or left of it) because you have to watch where you are stepping, given that you may be extremely fatigued after a few hours of carrying your standard load through the steamy, tangled jungle, and given that you may be wearing glasses or a mask that is fogged from the nearly 100% humidity and your own profuse sweat, finding your way to your objective is by no means an easily do-able task. Jungles are tough on communication equipment, too. Why wouldn't the soldier just use a GPS device? Unless you can find a clear spot in the jungle canopy system, the satellite signal stands a good chance of being blocked. Horizontal signal propagation through the jungle also is severely retarded by the terrain and vegetation density. TTS has communications test sites in various types of jungle terrain, including multiple canopied jungles, open areas with 20-foot stands of grass, and unobstructed open areas. A Sound Localization Test Site can measure the differences that a soldier's equipment may make on the ability to judge directions of sound sources in tropic forests. What about that voice or clattering noise that may be the enemy in the jungle? Sound localization is a tricky business in tropic forests. Load bearing equipment that extends to head level, helmets, and hoods compound the problem of knowing from which direction a sound is coming. Even without any such sound path interference caused by the soldier's equipment, the path of sounds in the jungle can be altered by the jungle itself. These jungle courses combine the realism of natural environments with the control of standardized test procedures necessary to identify technical and operational system and team performance problems. TTS can develop other such test courses and sites to capture objective data on the frequency and severity of decrements in other critical areas of soldier system performance. TTS uses Vehicle Mobility Test Areas within training areas used by US Army South (USARSO) include secondary roads and cross-country stretches over open flat terrain, through flat grasslands, swamps, and various forested areas, some with rugged terrain. US forces have no wheeled vehicle that can operate cross-country in wet season tropics. Tracked vehicles have limited capabilities for tropic operation, but are immobilized easily by mud and forests. Surprisingly, a major tracked vehicle was immobilized by tropic dry season grasses. The unexpected is the norm for tropic test results. TTS General Purpose Test Areas provide the necessary open and forested areas to test such items as shelters, generators, and other general purpose equipment. Shelters are taxed to the limit by high solar loads and constantly high humidity levels that challenge environmental control units. Shelters can also be rendered unlivable mysteriously by insects that build nests in air-sensing tubes. USARSO Firing Ranges and Training Areas provide the capability to test small arms, light artillery, and other items such as smoke generators that must function properly in the humid air of the tropics, and mines and demolition devices that must work in all kinds of tropic soils. Exposure/Surveillance Test Sites help to solve problems before they find their way into military equipment. Scientists and engineers know that new materials and manufacturing techniques must withstand exposure and use in adverse environments. Although such items as laminates, epoxies, metal alloys, plastics, and textiles may be tested in chambers in their developmental stages, the proof of their worth comes in natural field exposure where synergistic forces may have unknown effects on materials integrity. Whether it be durability against solar radiation, rain, atmospheric salt, high humidity, fungus, heavy organic particles, insects, or even large animals such as reptiles or rodents, or unique sequences or combinations of these factors, TTS has an exposure site that can reveal tropic sensitivities of materials or systems in a very short time. The TTS Breakwater Site corrodes metals quicker than any other exposure site in the world. Coastal and Inland Open Sites provide somewhat less severe exposure properties because of lower levels of atmospheric salt. Forest Sites have negligible salt fall and solar radiation, but provide extreme humidity and rainfall, fungus, organic particles, and insects. An Ammunition Supply Point, ideal for ammunition, explosive, and missile, and classified item surveillance tests, has secure bunkers and cages in restricted open and forested areas protected by intrusion detection systems. Even with their widely differing environments, these test sites are close enough together that items can be monitored all on the same day. Through these sites, the Army's requirement for equipment performance and reliability and materials integrity in any environment can be tested year round with fast results.